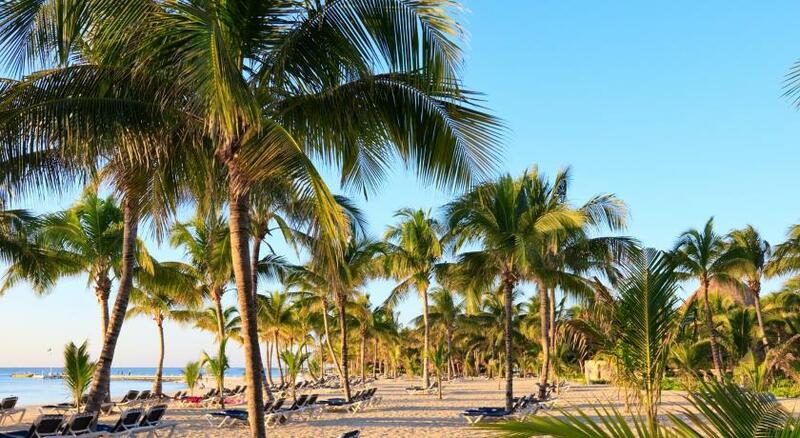 Lock in a great price for Grand Hyatt Playa del Carmen Resort - rated 9 by recent guests. Basically everything. Good wi-fi throughout the hotel and the pool area. The rooms are nice and spacious. Pool area is great. Location excellent! Staff is very nice. They even provided us with a room after check-out to have a shower since we had a late flight. I was upgraded to ocean front and roon was amazing! Pool, rooms, design, restaurant, everything is amazing! The location close to the quinta avenida, the room is fantastic, extremely clean, the room service very good. General Hotel Facility is clean and well maintained. Restaurants (the Grill) was exzellent. The hotel was awesome, we were upgraded to a suite with terrace and was great! David and Agustina from vip lounge were very friendly and kind. The property itself is absolutely beautiful. The view is stunning and it’s got lovely restaurants, pools and a great gym. The rooms are great and spacious and it’s a wonderful place to relax. The staff were so friendly and helpful. It feels very luxurious overall. Everything. The architecture was especially beautiful, and the room was spacious, clean and comfortable. Staff were also super helpful. The architecture is fantastic, well located with a nice beach and five minutes from the exciting city center. The employees of the Club are fantastic, Elizabeth, Juan, Luis and their team. Nice fitness center and overall ambience, and very good beach service. Location is great. The hotel architecture is really beautiful. The location of the hotel is perfect, the facilities, the staff, the food was great. I'd love to come again. One of our top picks in Playa del Carmen.Offering 3 ocean-front outdoor pools and a spa and wellness centre with spectacular architecture resembling a Cenote, Grand Hyatt Playa del Carmen Resort is located in Mamita’s Beach. The design concept has crafted natural elements, artwork, textures and light. The rooms will provide you with a TV, air conditioning, iPod dock and seating area. Complete with a coffee machine, the dining area also has a dining table. Featuring a bath or shower, private bathroom also comes with a hairdryer. Extras include free WiFi in all rooms and floor-to-ceiling windows featuring amazing views. At Grand Hyatt Playa del Carmen Resort you will find 2 restaurants serving steak specialties and international cuisine, 3 bars and a fitness centre. Unique food and beverage concepts and signature offerings from our restaurants and bars, such as The Grill at 1 26 and La Cocina, will set the stage for you to enjoy the local flavors of Grand Hyatt Playa del Carmen Resort. Room Service available 24 hours. Other facilities offered at the property include water sports facilities, meeting facilities, Beauty Salon and a games room. There is also a multi-purpose ballroom plus fifteen meeting rooms and various indoor and outdoor pre-function areas for events. If you feel like visiting the surroundings, check out the famous shopping, gastronomic and party scenes at La Quinta Avenida. This resort is 34.5 miles from Cancún International Airporttional Airport. This is our guests' favourite part of Playa del Carmen, according to independent reviews. This property also has one of the best-rated locations in Playa del Carmen! Guests are happier about it compared to other properties in the area. Grand Hyatt Playa del Carmen Resort has been welcoming Booking.com guests since 27 Nov 2014. ATM and Currency Exchange: Need cash? There's an ATM machine and a currency exchange service at this property. When would you like to stay at Grand Hyatt Playa del Carmen Resort? This double room features a balcony, tumble dryer and bathrobe. This double room has two queen-sized beds, a bathrobe, air conditioning and cable TV. This double room features a balcony, bathrobe and satellite TV. This double room has 2 queen-sized beds, a balcony, cable TV and sea view. This double room features 2 queen-sized beds, air conditioning, satellite TV and bathrobe. This double room features a balcony, cable TV and tumble dryer. This double room features 2 queen-sized beds, a balcony, cable TV and air conditioning. This quadruple room has 2 queen-sized beds, a balcony, bathrobe and air conditioning. This room offers concierge, private check-in and check-out, daily newspaper and access to our private Grand Club lounge serving continental breakfast and evening hors d’oeuvres daily in our Club level accommodations. This room includes a furnished balcony, perfect to relax and enjoy views of the Caribbean. A double sink and an additional rain shower await in the stunning bathroomThis double room features a balcony, cable TV and dining area. Daily upgraded continental breakfast in Club lounge (7 am - 11:30 am). Daily cocktail hour and hors d'oeuvres in Club lounge (6 pm - 9 pm). Private check-in and check-out in Club lounge. This double room features a balcony, sea view and air conditioning. This room includes a furnished balcony, perfect to relax and enjoy views of the Caribbean. A double sink and an additional rain shower await in the stunning bathroom and bathrobe. This suite has a flat-screen TV, bathrobe and air conditioning, offers concierge, private check-in and check-out, daily newspaper and access to our private Grand Club lounge serving continental breakfast and evening hors d’oeuvres daily in our Club level accommodations. This room includes a furnished balcony, perfect to relax and enjoy views of the Caribbean. A double sink and an additional rain shower await in the stunning bathroom. This double room features a balcony, air conditioning and bathrobe. This suite has a private pool, bathrobe and sea view. This triple room has a bathrobe, cable TV and air conditioning. CHILDREN NOT ALLOWED: This room is not suitable to accommodate children due to safety regulations. This quadruple room has 2 queen-sized beds, a bathrobe, air conditioning and cable TV. This double room has 2 queen-sized beds, a satellite TV, air conditioning and bathrobe. This quadruple room has a balcony, air conditioning and tumble dryer. The design concept, by acclaimed Mexican architect Sordo Madaleno and the award-winning New York-based Rockwell Group, crafts original and memorable spaces with subtle characteristics that embody the spirit of the destination through natural elements, artwork, textures and light. Inspired by the Cenotes - a unique geological formation typical of the Yucatan Peninsula area that is a surface for pure subterranean water bodies, often connected to extensive deep underwater cave systems - the spa at Grand Hyatt Playa del Carmen Resort is a true highlight. The spectacular architecture resembles the shape of a Cenote, creating the perfect environment in which to enjoy a variety of body and facial treatments and special packages, for the retreat you deserve. You will also enjoy the hotel’s fitness center, where you will be able to use the latest equipment to maintain your exercise routine while traveling. Recently we have been awarded with the AAA 4 Diamond Certification. This award indicates that we have measured up to AAA's excellence standards which include extraordinary services, quality amenities and superior surroundings among others. House rules Grand Hyatt Playa del Carmen Resort takes special requests - add in the next step! One child under 12 years is charged USD 35 per night when using existing beds. All children under 12 years are charged USD 35 per night for extra beds. Grand Hyatt Playa del Carmen Resort accepts these cards and reserves the right to temporarily hold an amount prior to arrival. Please note that additional beds are only available in rooms with 1 king-size bed. Rooms with 2 queen-size beds have no room for an additional bed. Extra beds cost 55 USD plus taxes and are subject to availability. Children from 6 to 12 years are charged USD 55 per night plus taxes upon arrival when using existing beds on All inclusive plan. Credit Card guarantee must be presented at check-in. · Daily movies at Hashtag Cinema (film changes daily).